It's December 1969 in Watford, England, and Jeremy Sloane is at the end of his rope - literally. His failed attempt to end it all has just joined a growing list of recent setbacks, which include getting sacked from his accounting job and a separation from his wife Janet, who has left to "find herself." The one remaining constant in his life are his evenings at the pub with childhood mates Ross, Reggie and Beans. Although the gang have big plans for the approaching decade, Sloane simply longs for employment and the return of his wife. Although a part-time job as a supply teacher goes ludicrously wrong, Sloane may luck out romantically, due to a chance encounter at a hardware shop with a free-spirited, young American woman called Robin, who might just help Sloane get his life back on track as the new decade approaches. 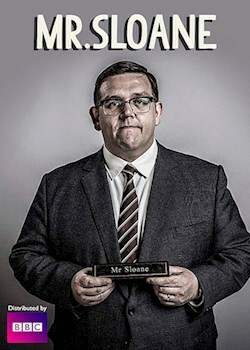 By turns hilarious and heartbreaking, Mr. Sloane is an everyman muddling through the human comedy as best he can, learning lessons about love, longing, and loyalty along the way.